Lords Square was known as Brewer’s Corner in early Ipswich. John Brewer was a town clerk and being on what was then the outskirts of town owned a large lot, which he divided into sections and sold. 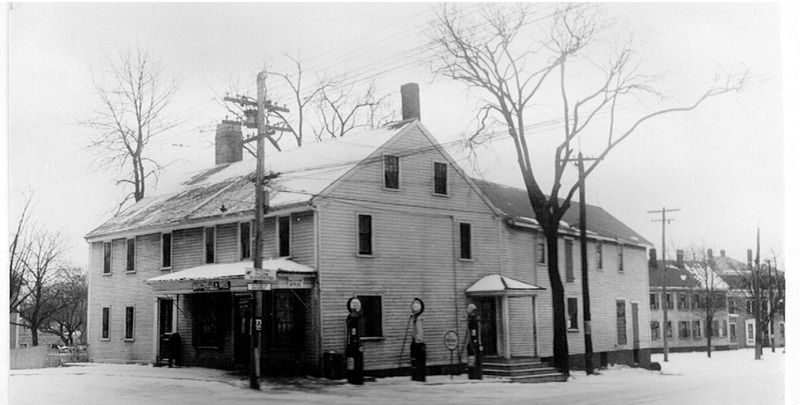 Brewer’s First Period home at 82 High Street was built in 1700 and still stands just north of Dunkin Donuts. Eventually High Street was lined with homes belonging to the Lord Family. Asa Lord owned and operated a store on High Street at what is now the bewildering intersection of Linebrook, Market, High, Short and Liberty Streets as well as Rt. 133 and Rt. 1A. 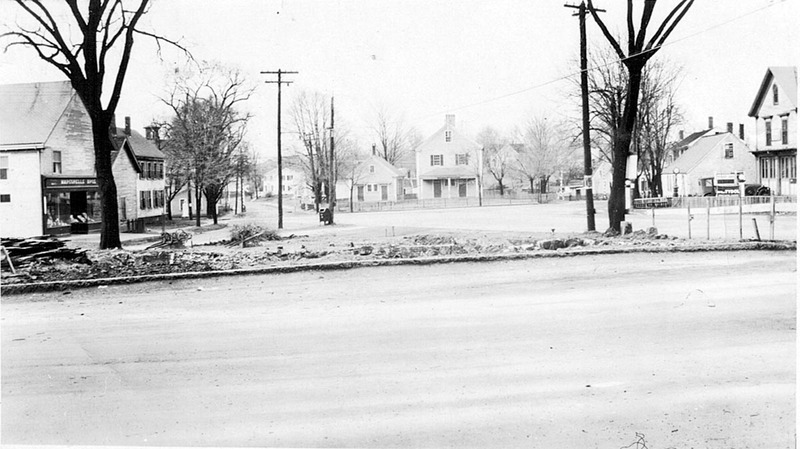 Lords Square was the point at which Boxford Road (now Linebrook) branched off to the west, and Gravel Street (Liberty and Washington Streets) looped around a wetland called Farley Brook. That would later be filled in to create Central Street in the middle of the 19th Century. At first Central intersected Liberty Street at a right angle. Lords Square was reconfigured to accommodate traffic flow in 2000. 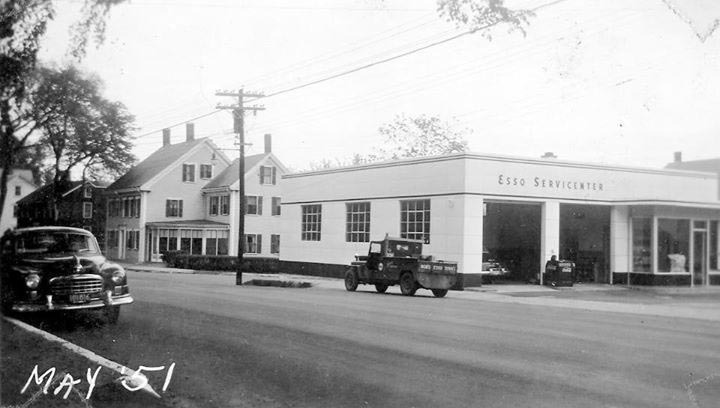 In the first half of the 20th Century fine old homes and neighborhood stores at Lords Square were demolished and replaced by small cheap service stations, one converted to Dunkin Donuts and another into an auto repair shop. 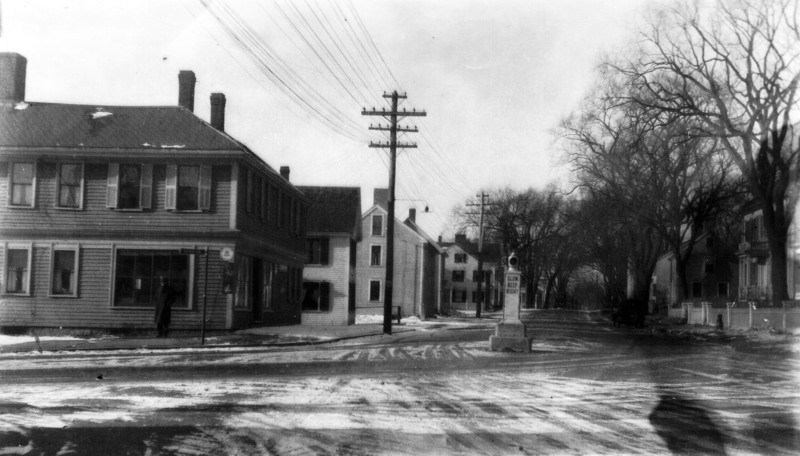 Lords Square is in the General Business zoning district and historically was a commercial center for the northern part of town. Although the larger shopping center is now further north on upper High Street, the Square continues to be home to various businesses. 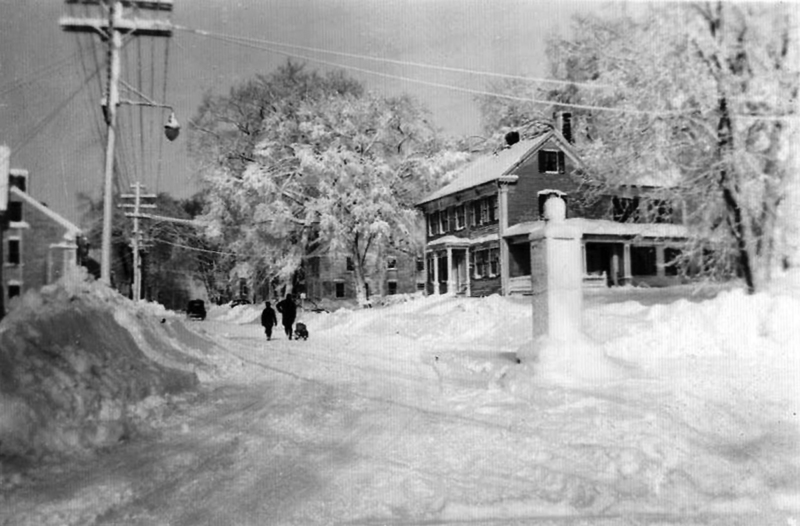 Lords Square, snowstorm first half of the 20th Century, photo courtesy of David Wallace. 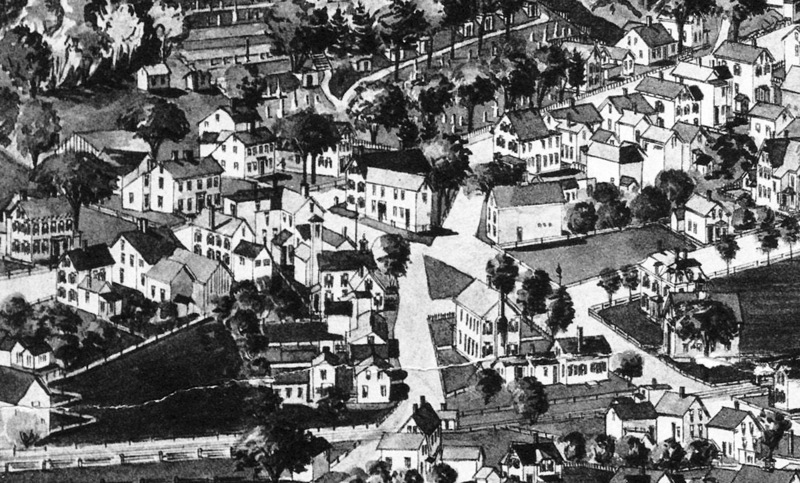 Lords Square in the 1893 Ipswich Birdseye Map. Asa Lord’s Store sits in the middle, with its front facing High St., and the rear addition facing Lords Square. The Payne School is in the foreground, facing the Square. 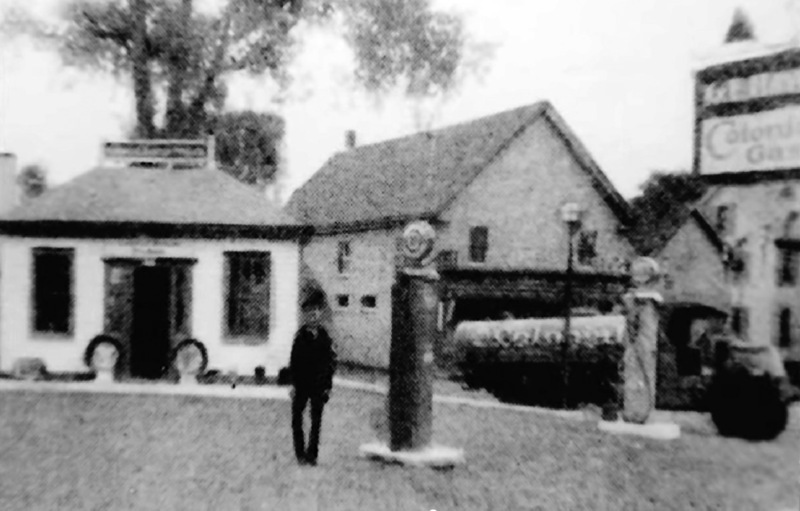 On the right is the Clark house and barn, that was taken down or moved to build the A&P, which is now a CVS. The layout of the intersection has been greatly changed–note that Central St. ended at Liberty St.
Lords Square is surrounded by historic buildings and homes, and abuts still-historic High Street with the largest collection of First Period houses in America. 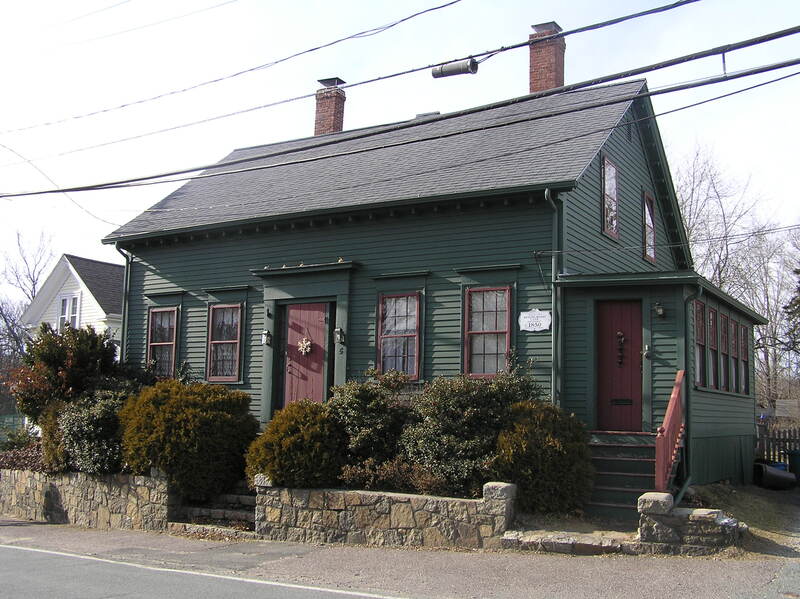 The 1725 Nathaniel Lord house and the First Period John Kimball house sit at east side of the intersection just past the Old North Burying Ground. The 1720 Wood-Lord house is the last house on the west side before the square, and the First Period John Brewer house is the next house on that side, just past the square. 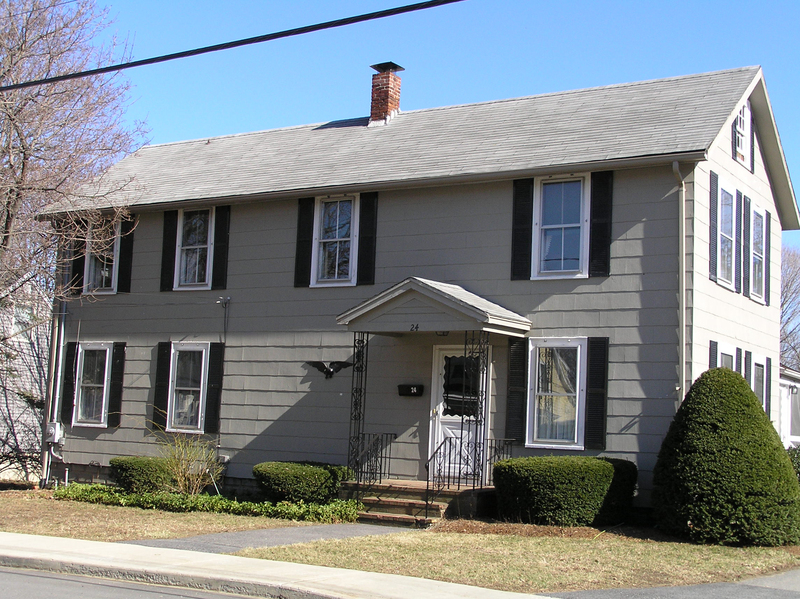 The Woodbury house at the beginning of Linebrook Road is a charming Colonial Revival home. A short distance beyond it on Linebrook Road is the Old Cross Farm, built in 1716. 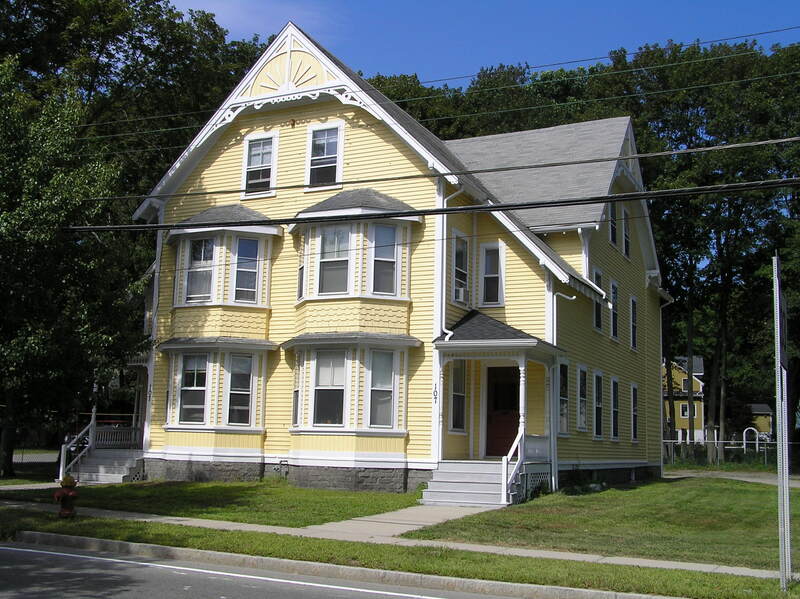 The large yellow Collins house on Central Street is an impressive example of Victorian architecture, and across the street from it is a handsome row of late 19th Century homes built in the “Second Empire” style. On Liberty Street the Levi Howe house was built in a modest Gothic Revival style and the George Brown house across the street from it is a wonderful Victorian home with a wrap-around porch. 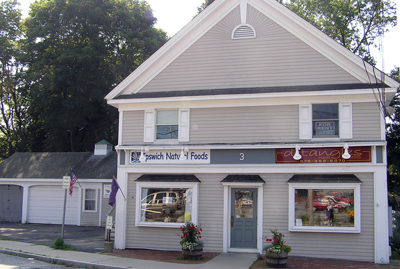 Indeed Lords Square has traditionally served as an important commercial crossroad where diverse Ipswich neighborhoods converged. Little remains to remind of us of how the square itself once looked. The Old Payne School building built in 1802 is the most visible remaining historic building. It’s original location was next to the old fire station, the site of the current laundromat. In 1891 a small knoll known as Gander Hill was leveled and the school was moved across the Square to its current location. 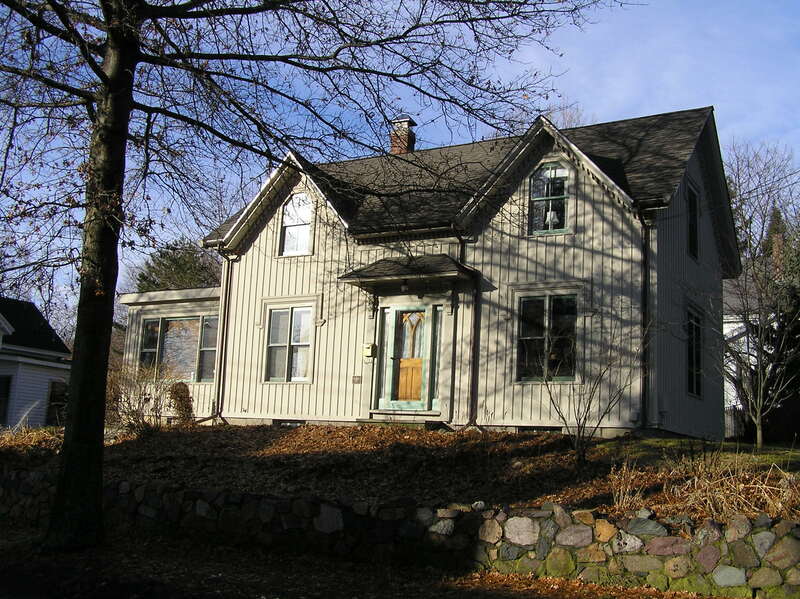 A second floor was added at that time, and the building still serves as the office for the Superintendent of Ipswich Schools. 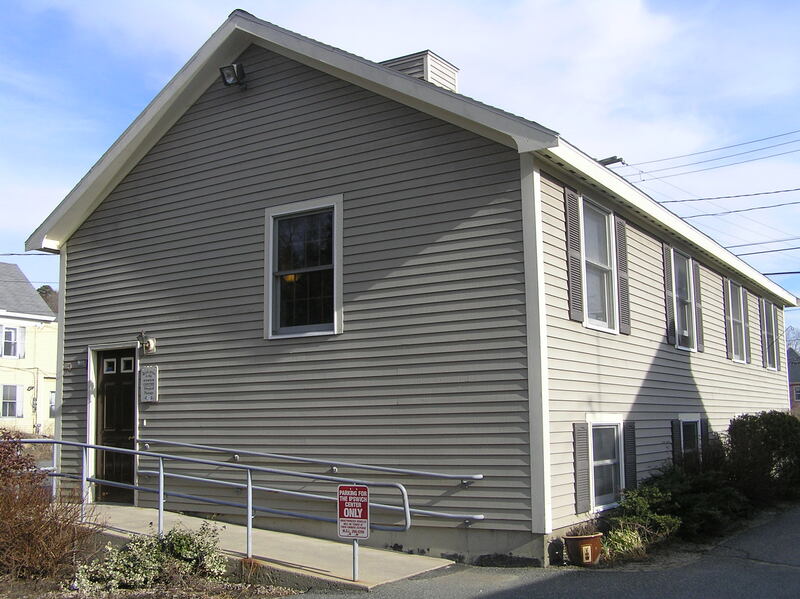 In 1994, a 243-year-old Georgian-era house across from the Payne School at 1 Linebrook Road (in Lords Square next to the laundromat) was demolished and replaced with a small commercial building that is currently a sports rehab center. 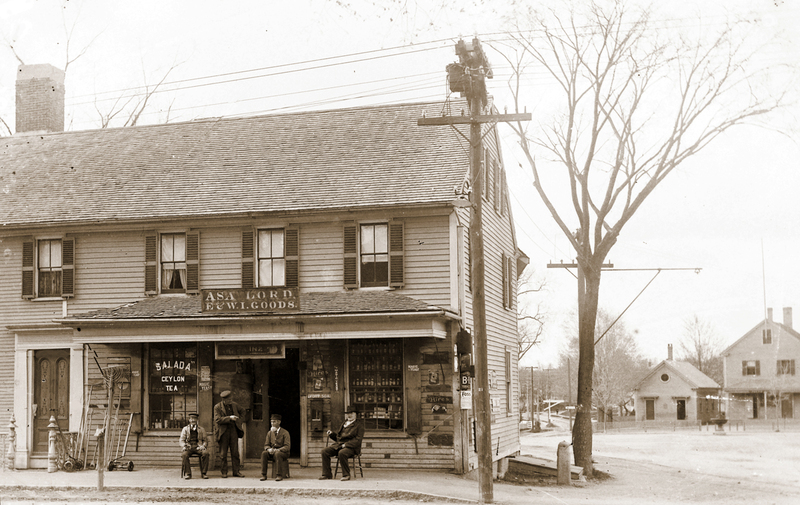 Asa Lord’s Store, early 20th Century. The front side facing High Street is reported to have been moved to East Street. The rear section facing Lords Square is said to have been moved to Pleasant St. or Mt. Pleasant Ave. The houses in the rear right side of the photo were at the location now occupied by Tick’s Automotive. 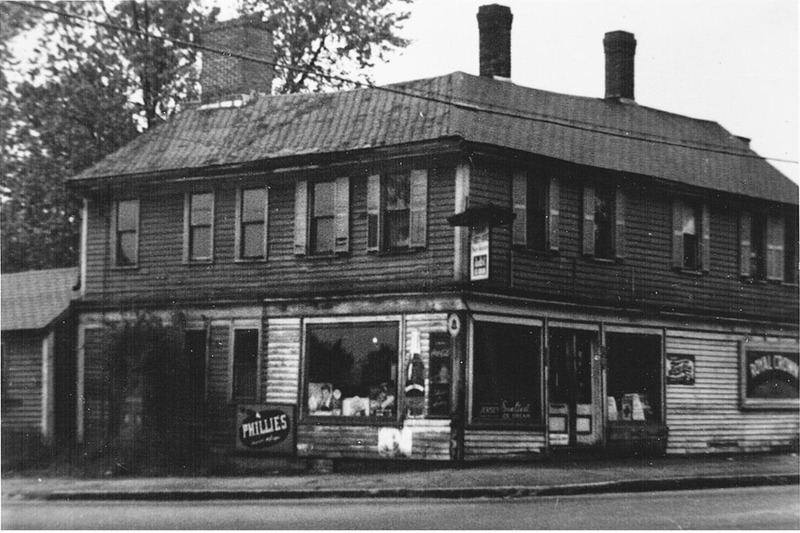 The rear ell of Asa Lord’s store was moved to 24 Mount Pleasant Avenue and where it still stands today. 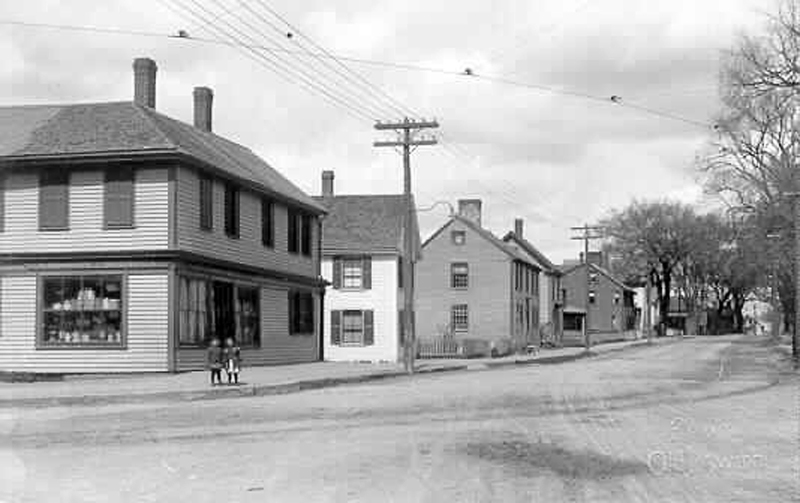 Bill Varrell in Ipswich, Images of America states that the front building was moved to East Street, and Alice Keenan wrote that it became the home of the St. Laurent family, behind Alyce’s Variety store (now Ipswich Provisions) on East Street. The building was altered considerably. Here’s a current photo. 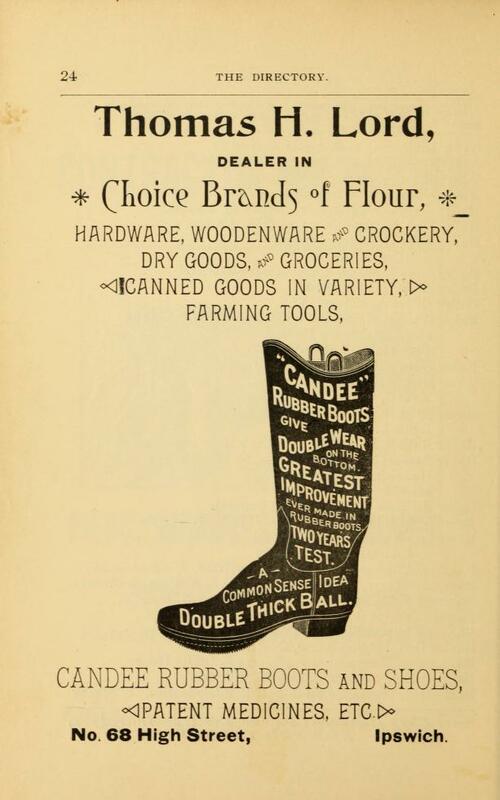 Asa Lord’s Dry Goods, before the automotive age and utility poles. Liberty Street (known then as Gravel Street) is in the distance to the left of the small school building. Payne School just out of the picture on the right, still stands. Asa Lord’s market opened in 1826, and he probably could have had plenty of customers just from his own relatives. Fifteen generations of the Lord family are buried in the Old Burying Ground across High Street. The store served as a de facto neighborhood community center, where people would sit out front and chat. In the 20th Century it was T. H. Lord’s store. It was said that when Lord’s Store closed in 1930 old stock was piled throughout the upstairs stockroom in “the wildest confusion” with goods dating back to before the Civil War. 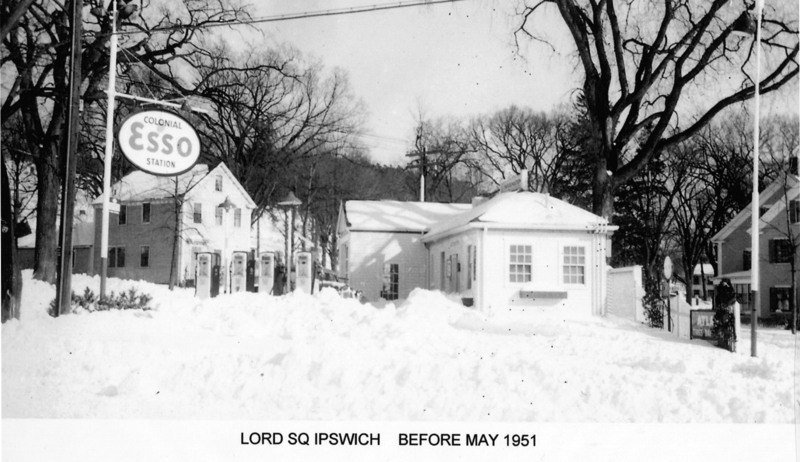 In the book “Ipswich Yesterday,” Alice Keenan reported that the store was closed in order to accommodate a gasoline station. “There was a great deal of objection to the gasoline station from the abuttors…eventually the proponents gained their way and Lords Square began its slow slide into rampant commercialism.” Old traditions die hard, and men from the town continued to stop in and chat in the Esso service station! This old photo above is from the first half of the 20th Century soon after Asa Lord’s Store was demolished. Three buildings remain today: the old firehouse on the far right, the former Marcorelle’s Store on the far left, and the Paine School in the middle. Asa Lord’s store faced High Street and would have been approximately where the traffic island is now, and had already been split apart and moved to two separate locations as residences. 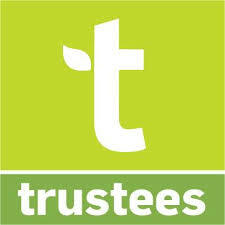 The Prime service station sits today in the triangular patch between the two trees. The two buildings between the right tree and the old fire station on the far right are gone. The chimneys on the large two-story Georgian house that sat at 1 Linebrook Road in 1994 can be seen over the roof of the smaller house that was demolished to build the building that is now a laundromat. 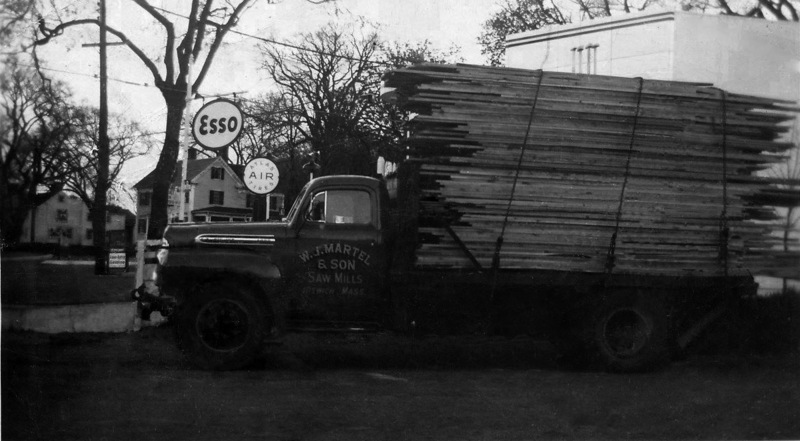 The Richards house being moved from Lords Square up High Street to Kimball Avenue in June, 1940. The Esso station is now Prime. Marcorelle Bros on Lords Square, circa 1940. The building is still in use, an attractive store on Short Street. 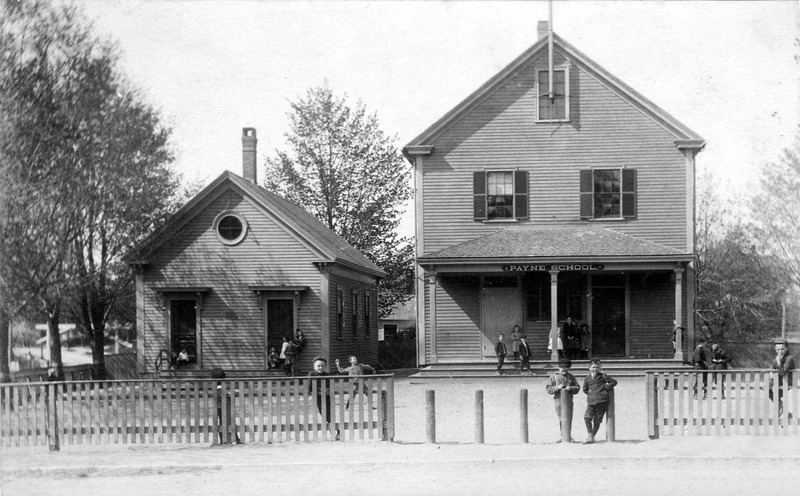 The French Canadian Marcorelle Brothers also operated a store at Lords Square in a building constructed in 1872. That building is still in use today, looking quite attractive on Short Street behind the service station. 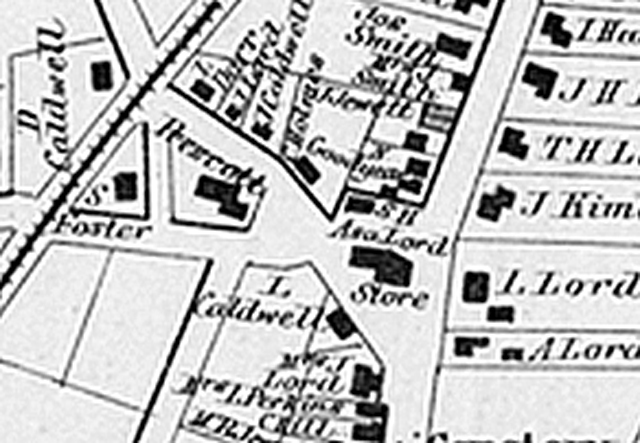 The 1872 map indicates a building at this location under the name L. Caldwell. Across from Asa Lord’s at the current location of Dunkin Donuts was a grocery. 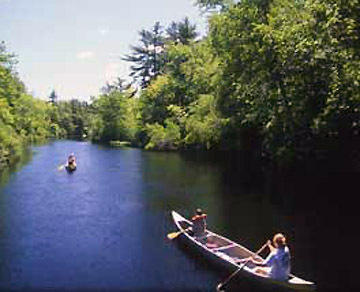 Norman James Bowles moved from Boyleston, N.S. and adopted the local spelling Bolles. He married into the Lord family and ran this grocery store. Clement Bowles ran the store after his brother’s death. By the time of its closing in the early 1900’s it was known as Burnham’s Grocery. 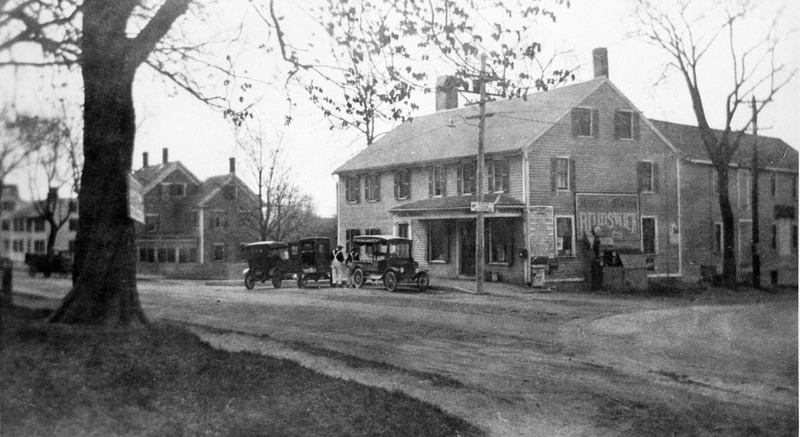 It was demolished to build a Sunoco station in 1930, which became a Richdale and is now Dunkin Donuts. To the left of it still stands the former Lords Square fire station. 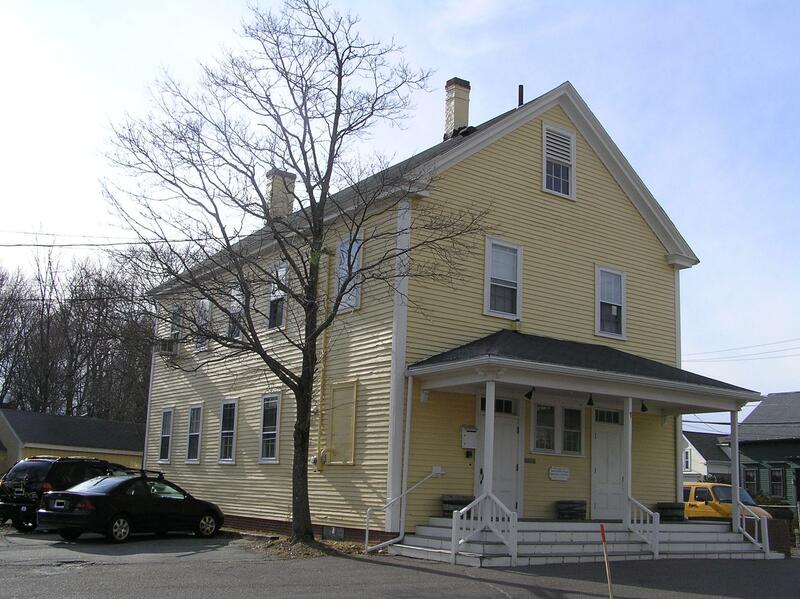 The empty yellow building between Dunkin Donuts and the laundromat was constructed between 1865 and 1872. Despite its neglected appearance and the boxy additions it once served as one of the town’s three fire stations, housing engine #2, the Neptune. The other two companies were on Warren Street and in the Candlewood neighborhood. The fire station had a bell tower in the front and a tall hose-drying tower in the rear. 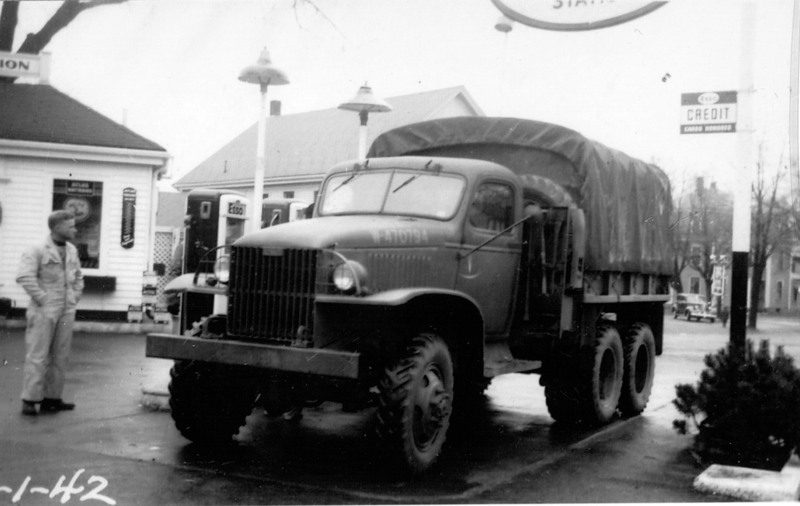 The “Neptune” was the town’s “hand tub” fire engine and was housed in this building. The Clark house and barn stood at the intersection of Central and Liberty Streets. It was taken down or moved to construct the A&P, which is now the CVS store at Lords Square. 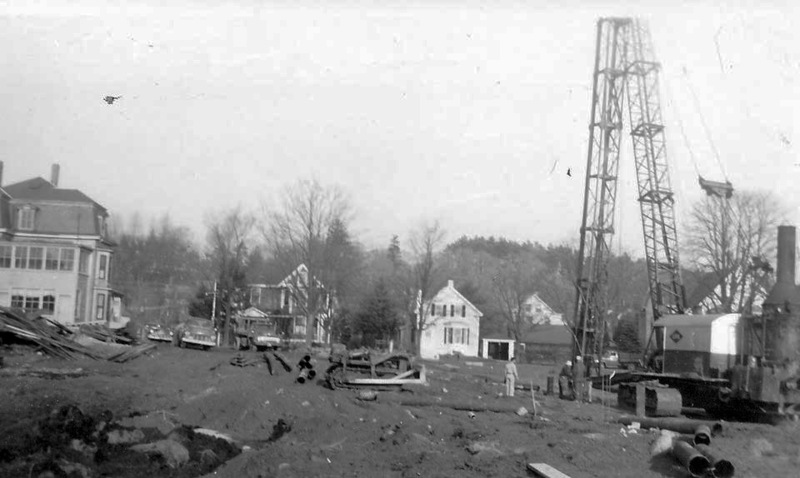 The Clark house is on the left in this photo of the A&P site being prepared. The boards on the ground indicate that the barn had already been demolished. The two houses across High Street are still standing today. Photo courtesy Linda George Grimes. 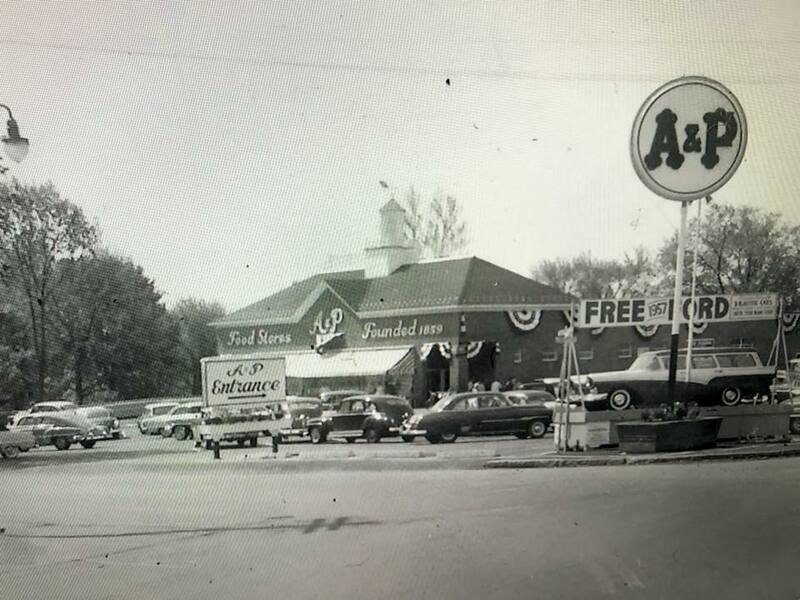 The A%P was built in the 1950’s at Lords Square and is now a CVS drugstore. Looking north on High Street from Lords Square in the early 1900’s. 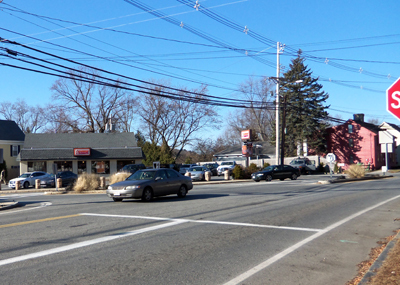 On the left is Burnham’s Grocery, at the location of the Dunkin Donuts today. The white building behind it was removed. This photo is taken from the same location as the one above it. Street names have been updated in the 1832 and 1872 maps.The primary difference is that Central Street has been created, originally ending at Liberty Street before the intersection was redesigned. 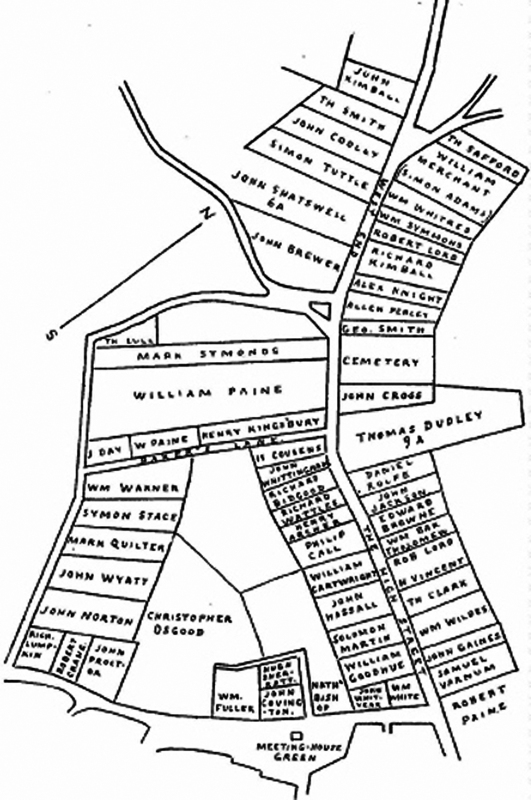 1641 map from “Ipswich in the Massachusetts Bay Colony” shows Lords Square when it was known as Brewer’s Corner.